The two retreats led by brothers of the community living in Nairobi since 2009 brought together 120 participants from different countries in East Africa. The presence of young volunteers from Europe, involved in various projects in Kenya, broadened the horizon of the meeting. Prayer together three times a day set the rhythm of the days. The gesture of the feet washing on Thursday evening, the prayer around the Cross on Friday, and the celebration of light on Saturday evening highlighted the theme chosen for the Bible introductions and the morning sharing sessions: “A profound joy, following Christ in his passion and resurrection”. 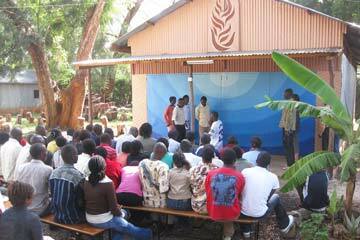 The afternoon program offered an opportunity to reflect on the link between faith and daily life and its challenges. 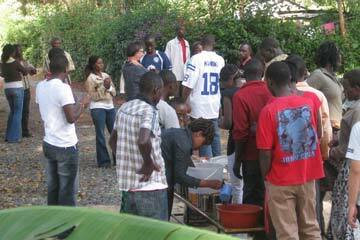 The participants were able to visit people committed in social work or giving their lives in service to the very poor. Philipp Wekesa presented the work of young artists in the Korogocho neighourhood; based on the conviction that artistic creation is transforming the slum. 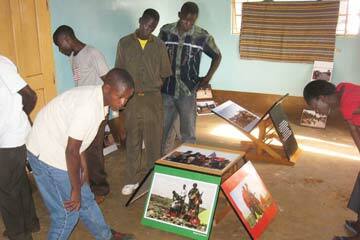 He set up an exhibition of photographs expressing the outlook full of hope of the young people of this neighbourhood of great poverty and who have a reputation for violence. Peter Kuria, leader of a rehabilitation project for children on drugs, shared his reflections on faith and work in contact with great poverty. The participants from Congo, from North and South Kivu, and from Burundi shared how the young people in their countries contribute to peace and reconciliation after twenty years of civil war. Those from Rwanda, Catholics and Protestants, presented the effort of reconstruction and development which has been transforming their country for the past fifteen years. They invited the young Kenyans to prepare to join them for the pilgrimage of trust that will bring together young adults from throughout the region and beyond from 14 to 18 November 2012. 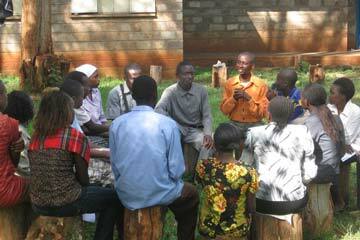 The next international retreats in Nairobi will be held from 3 to 7 and from 10 to 14 August 2011.